Find all types of Personal Care products at Anandha Grocery personal care market. 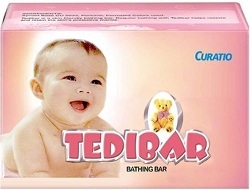 Buy beauty and personal care products online shopping in Coimbatore at best prices. Hair Care · Oral Care · Shaving & Grooming · Feminine Care · Deodorant & Antiperspirant · Incontinence · Natural & Organic Personal Care · Pregnancy & Fertility · Home Tests & Monitoring · Foot Care · Eye Care · Ear, Nose & Throat Care · Lip Care · Massage & Relaxation · Bath & Body · Sun Care . Buy products from Anandha Grocery online at best prices and get them home delivered for free at your convenient slot. You can Choose from wide range of products, including hair appliances, cosmetic products and many more at discounted price at Myntra. ✯ Free Shipping ✯ COD ✯ 30 Day Returns.